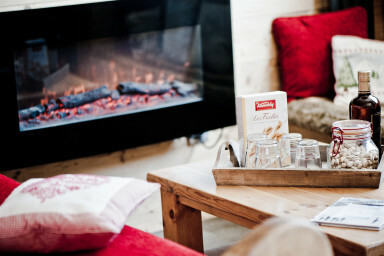 The rustic charm of the mountain, combined with refinement! 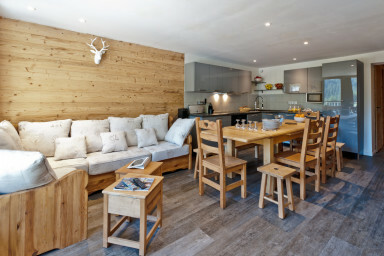 Spacious apartment refurbished luxurious mountain chalet style at the foot of the slopes to enjoy your vacation with family or friends. Located on the 4th floor (equivalent 6th of the building Ariondaz), the apartment enjoys an exceptional situation: it is crossing north / south. You have two large balconies from which the view is impregnable: the one south full view on the Aiguille du Fruit and Courchevel 1850, the second to the north (side rooms) overlooking the whole valley, Courchevel village , Pra. 1650: High Standard Apartment, Full SKI IN/OUT, Two Balconies !